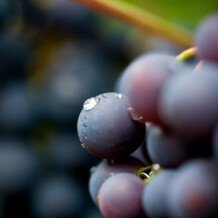 Home » Featured » Eating & Drinking Healthy – Go Organic In Your Glass! Eating & Drinking Healthy – Go Organic In Your Glass! I just got over a nasty cold and I know lots of other people who are sick right now too. I firmly believe that it’s due to holiday stress and not taking good enough care of ourselves as we rush about, all hurry-scurry. One thing we can do is to eat healthy (I eat organic foods whenever possible). Drinking organic wines with tasty, healthy organic foods is a no-brainer, especially when there are so many wonderful organic wines out there to enjoy. The following selection of organic wines is from my friend Veronique’s website, www.theorganicwinecompany.com. All of the featured organic wines are delicious, and all are priced under $20 per bottle! Enjoy! Gypsy Melody $13.99 – This delightfully easy-drinking wine is juicy and soft in the mouth and loaded with aromas and flavors of ripe berries, hillside wildflowers and peppery spice. Long, mouthwatering finish. I freakin’ LOVE this wine – it was my personal favorite of the flight!!! Pair with soft, mild cheeses, chicken, pork and seafood dishes. 2011 Chateau Laubarit White Wine $16.99 – Aromas of green apple, peach and citrus are enhanced by mineral notes, lending this elegant white wine pretty complexity. These aromas continue as flavors with good complexity in the clean, crisp mouth. Delicious, juicy finish. Pair with medium cheeses, seafood dishes and a variety of salads. 2010 Domaine Des Cedres $15.99 – This is Rhône with a capital R, folks! Intense aromas of plum, black cherry, violets and peppery spice jump from the glass and continue as flavors in the lush, silky mouth. Long, delicious finish. Pair with medium to sharp cheeses, lamb, wild game and mushroom risotto. 2009 Perlage Sangiovese $13.99 – Cherry, bell pepper, savory herbs and spices set the stage here, in the nose and in the mouth. Medium bodied. Pair with strong cheeses, tomato-based pasta dishes, sausages and antipasto. 2012 Domaine Des Cedres $15.99 – Hillside wildflowers, violets, black cherry and peppery spice meld seamlessly in the nose and continue as flavors in the mouth. Lush and richly textured. Long, delicious finish. 2009 Chateau Bousquette $15.99 – Mouthwatering aromas of black cherry, plum, wildflowers and peppery spice lure the taster into a rich, silky-smooth mouthful of consistent flavors. Juicy and well balanced. Long, mouthwatering finish. Pair with strong cheeses, lamb and beef dishes stews, wild game and roasted vegetables. Check back soon – my tasting panel and I will have more delicious organic wines to share in the New Year!